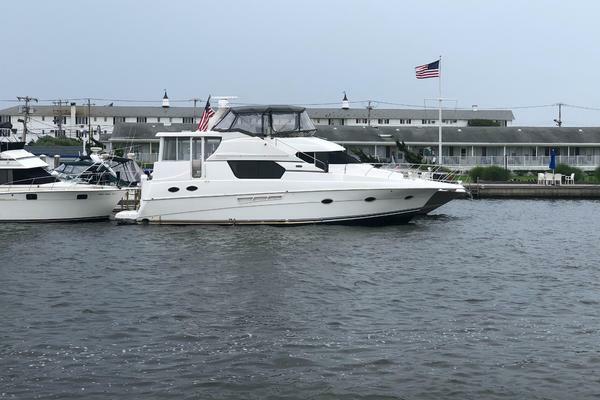 United Yacht Sales New Jersey would love to guide you through a personal showing of this 43' Silverton 43 Motoryacht 2005. 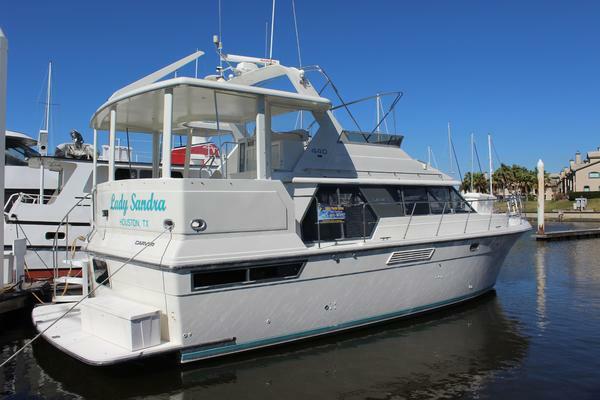 This yacht for sale is located in Cape Coral, Florida and priced at $184,900. For a showing please contact us by filling out the form on this page and we will get back to you shortly! Elegance and spaciousness are what the Silverton 43 Motor Yacht is all about. A sleeker, lower exterior design reduces windage and enhances performance while still incorporating the trademark Silverton SideWalk. These molded steps provide quick and safe passage to the foredeck and allow the salon to reach full-width from gunnel to gunnel. An enlarged flybridge includes an expertly laid out helm with room for all the latest in electronics, plus a large seating area with loads of storage. Entertaining or relaxing is easy on the covered aft deck which comes complete with wet bar and fiberglass weather boards. Beautifully crafted cherry wood is in abundance throughout the well thought-out interior. A grand salon features a large and comfortable settee while the equally large dinette provides additional seating and storage. A standard 27" television is strategically located up above for all to view. The expansive, Corian-covered galley is complete with top-of-the-line appliances and plenty of storage. Even a pullout pantry is included. Both staterooms enjoy queen-size, innerspring mattresses and a multitude of storage and hanging lockers. The split head and shower arrangement both fore and aft allow for great flexibility for the owners and guests.With it's cavernous interior, the Silverton 43MY is aimed at buyers seeking the comforts of condo-style accommodations able to handle most anything thrown her way. 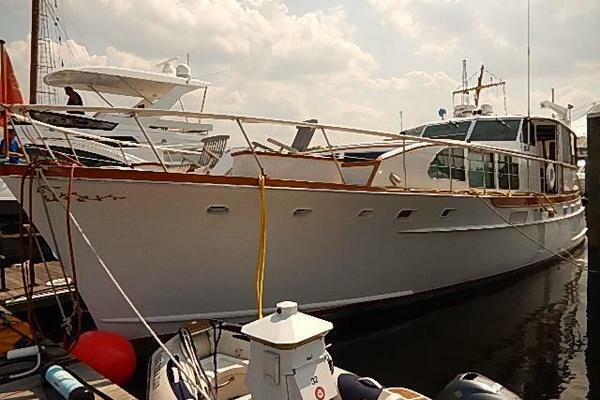 The 43 is a BIG boat for her length whose vast interior is made possible by Silverton's "SideWalk" deck plan which gives a full beam salon. Below, the expansive salon of the 43--with its wraparound cabin windows, light cherry woodwork, and high ceilings--gives one the impression of being on-board a 50' motoryacht. Both staterooms a outfitted with queen berths, and both heads are split to separate the shower stalls from the toilets. A wet bar is standard on the aft deck where a curved stairway leads down to the swim platform. Topside, the helm is forward on the flybridge with guest seating aft. The aft deck will surely please the party crowd.